The 2017 death of a Florida State University fraternity pledge is prompting lawmakers to consider a change in the state’s hazing law. Spearheading the effort are the parents of Andrew Coffey along with Democratic State Senator Lauren Book. Andrew Coffee was attending an off-campus fraternity party when he drank an entire bottle of bourbon that had been taped to his hand. His blood alcohol was nearly four times the legal limit, and when he passed out, he was carried to a fouton and left alone. Party goers said they believed he was sleeping it off. “Andrew Coffey would be probably alive had someone called 9-1-1 at 3 a.m. in the morning," said Miami-based attorney David Bianchi. He represents Tom and Sandy Coffey, Andrew Coffey's parents. The Grand Jury noted a lack of cooperation from those attending the party and it was especially critical of the FSU Chapter of Pi Kappa Phi—the fraternity Coffey was pledging. Police interviewed 22 of his fellow pledges along with 16 members. Most refused to answer questions and only two of the fraternity’s leaders agreed to speak with investigators. Seven others refused. A measure before the Senate Criminal Justice Committee would grant immunity to the first person who calls 9-1-1 and agrees to work with law enforcement. “We and 15 other families in the country belong to a club we don’t want any more members to. All their sons of died of hazing to pledge a fraternity. We never want to see this happen again," Tom Coffey testified before the committee Monday. Nine members of the fraternity were eventually charged with felonies, but those were later reduced to misdemeanors as the state struggled with proving the students actively participated in hazing Andrew Coffey. His parents are supporting Democratic Senator Lauren Book’s bill to expand the state’s hazing law. The measure allows an organization’s leaders to be prosecuted for hazing if they encourage others to commit the act or are involved in the planning of the activity. “We want to put people on notice that they can’t just, do what they do without any consequences," Tom Coffey said. 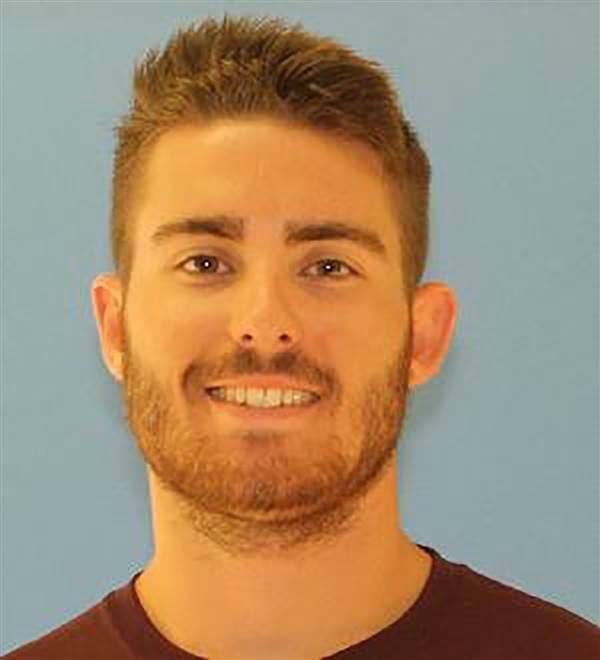 Less than a year after Andrew Coffee’s death, Florida State University faced with a second hazing incident. A member of a suspended fraternity sustained a head injury after being punched in the face during a scumbag of the week” activity. Book’s bill would also extend state hazing laws to former fraternity members. “It’s time we keep ourselves up with how we keep kids safe," she said. Some lawmakers are concerned about offering immunity to just one person who reports a hazing case, but Bianchi says that’s up to the discretion of state prosecutors. Florida’s hazing law is called the Chad Meredith Act. It’s named after a former University of Miami student who died in 2001 after trying to swim across Lake Osceola while drunk. He had been hoping to join a fraternity. A judge has granted a request by defense attorneys in the Andrew Coffey hazing case to get more specific charges from the prosecution. Defense attorneys for the four men facing trial in the hazing death of Florida State University Pi Kappa Phi pledge Andrew Coffey want more specifics from the prosecution as to how their clients caused the 20-year-old’s death. Five men who were facing trial in the death of Florida State University fraternity pledge Andrew Coffey have accepted plea deals that will see them take a misdemeanor hazing charge. Defense attorneys for two of the nine men charged with felony hazing in the death of Florida State Pi Kappa Phi pledge Andrew Coffey say they have evidence that could potentially upend the prosecution’s case. A student charged with the hazing death of Florida State University pledge Andrew Coffey will likely have his bond revoked following a bar fight last Friday.